Pediatric audiology is a type of healthcare offered to both infants and young children who are experiencing hearing problems or sound recognition issues. The audiology process involves both diagnostic and rehabilitation services, which are used to determine the type of hearing disorder and to treat it accordingly. Finding hearing problems early in a child's life is essential for correction of these issues and prevention of further hearing problems. A pediatric audiologist is a specialist within the medical field who works with pediatric patients who have hearing and speech deficits. They are skilled professionals who use different forms of testing in order to find the problem and then determine which method of correction will treat the issue and help prevent it from getting worse. What conditions do pediatric audiologists treat? The services offered by a pediatric audiologist vary according to the condition and symptoms of the patient. The hearing specialist will perform hearing tests in order to determine the cause of the child's deficit. These tests include sound evaluation, as well as external and internal exams of the ears. After the examination and diagnosis, the pediatric audiologist will work to find the best method of treatment for your child. He may use certain devices, such as a hearing aid, to correct problems with hearing. Also, installation of tubes in the ears could be necessary to correct chronic infections. Surgery is done when foreign objects need removed or to fix a malformation of the ear. Also, therapy may be utilized in order to correct certain hearing problems, such as a sensory hearing condition. When you bring your child in for a pediatric audiology appointment, ask general questions in order to give the audiologist an idea of the hearing and speech problem. 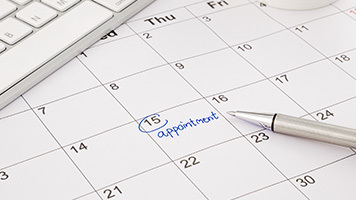 He will discuss the types of testing used to find the problem, which may be done that day or scheduled for a later appointment. At the time of the testing, the pediatric audiologist will tell you what problems were found, as well as what method of correction is needed. 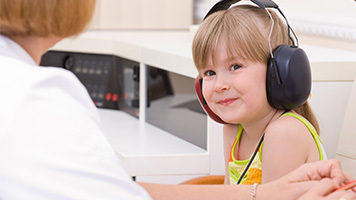 The pediatric audiologist always gives the parent information regarding the hearing deficit and offers insight as to why this type of issue occurs along with the success rate of the treatment options.